PLD Space of Spain has received nearly 2 million euros ($2.4 million) from the European Commission to continue development of its reusable ARION 1 and ARION 2 launch vehicles. 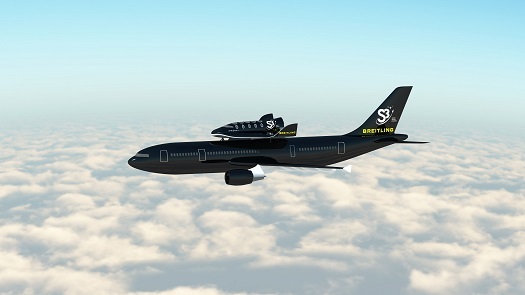 ARION 1 is a suborbital booster that PLD Space plans to begin launching later this year. The company said the rocket will validate 70% of the technologies required for ARION 2, which will place payloads weighing as much as 150 kg (331 lbs) into low Earth orbit. WASHINGTON, D.C. (House Science Committee PR) – The Space Subcommittee today held a hearing to examine the current state of the small satellite commercial launch industry, which generates hundreds of billions of dollars of economic activity and serves both the private and public sector. 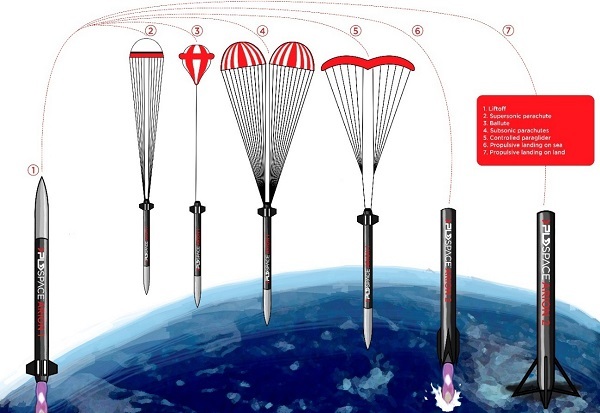 Several companies are currently working to supply the growing demand for commercial launches. 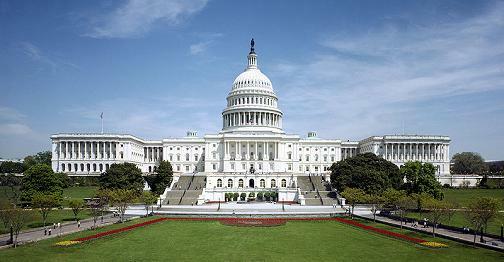 Witnesses today discussed various policy challenges that may need to be addressed. 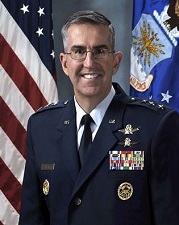 The head of the United States Space Command says he supports the idea of using decommissioned ICBMs to launch commercial satellites. ESA PR — ESA’s new Vega rocket is now fully assembled on its launch pad. Final preparations are in full swing for the rocket’s inaugural flight from Europe’s Spaceport. The launch window opens on 9 February. The upper composite, comprising LARES, ALMASat-1, seven CubeSats, the payload adapter and the fairing, was moved to the pad late Monday night. A night transfer is the standard practice in Kourou to avoid overheating the payloads. Space News‘ Peter B. De Selding takes a look at the choices facing Luxembourg-based SES, which owns the AMC-14 telecommunications satellite stuck in a lopsided orbit on March 15 by the failure of a Proton-M upper stage. The company could use on-board engines to send the spacecraft directly to a geosynchronous orbit. Or it could loop the satellite around the Moon in a gravity-assist maneuver. Either method could use a large amount of the spacecraft’s fuel, cutting into its planned 15-year lifetime. SES could declare the satellite a total loss and collect on a $192 million insurance policy. However, that option has a significant drawback: SES had leased the AMC-14 spacecraft entirely to satellite-television provider EchoStar of Littleton, Colo. As a result, SES would lose a significant revenue stream. In a related story, Jeff Foust examines the Proton failure and the broader outlook for the launcher market over at The Space Review. Foust says SES might pursue both options, raising the AMC-14 to a geosynchronous orbit and filing an insurance claim based on the spacecraft’s reduced lifetime. Foust reports that rocket providers are struggling to keep up with rising demand, which is driving up launch costs. In addition, insurance costs are rising due to a number of recent launch mishaps. The Proton has experienced three failures in the last two years and will likely be grounded for some time. The solution might be to get more launch providers into the market.